We are asked many questions about “dental flossing” by our patients. 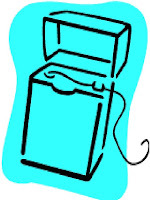 Most frequent are why is it necessary to floss and what’s the best floss to use? Here’s what we tell our patients. There are actually two reasons to floss your teeth, one is dental and the other is medical. Brushing one’s teeth daily is part of a sound oral hygiene program. 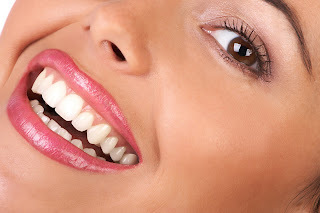 Brushing removes the soft plaque from the teeth which consist of colonies of bacteria. Ungrateful guests, those microscopic monsters thrive on the food particles that are left on your teeth. The result is the production of toxins that contribute to the development of dental diseases such as tooth decay, and diseases of the gums and bone called periodontal disease, not to mention bad breath. Unfortunately, even diligent brushing isn’t enough to remove the plaque that forms BETWEEN the teeth. That’s where flossing comes in. Simply stated, floss gets into the areas that the toothbrush can’t possibly reach. What is the medical benefit to flossing my teeth? Current research is beginning to point to a “mouth-body” connection. Infections in the mouth can play havoc elsewhere in the body. For a long time it was thought that bacteria was the factor that linked periodontal disease to other infections in the body; however, more recent research demonstrates that it’s inflammation that may link periodontal disease to conditions such as coronary artery disease and stroke. In addition there is an association between periodontal disease and chronic inflammatory conditions such as diabetes, respiratory disease and osteoporosis. Evidence is also mounting that suggests that pregnant women who have periodontal disease may be seven times more likely to have a baby that is born too early and too small. While all the information is not yet available, many clinicians feel that infections do play a role in heart disease, and may explain some of the risk that is not accounted for by other factors including high cholesterol, smoking, diabetes, being overweight, and living a sedentary lifestyle. Preventing gum disease from occurring or treating it early will help save your smile, and may also save your life! 1. Always floss BEFORE you brush in order to clean BETWEEN your teeth where the brush doesn’t reach. Be methodical! Start on the upper right, and progress to the upper left. Then floss the bottom left, and move to the lower right. 2. Be generous with the floss. Tear off about 18 inches, as long as your lower arm. Wind some of it around the index or middle finger of each hand. The tips of your thumbs and forefingers are your “flossing-fingers.” A common mistake is to position the finger tips of each hand too far apart. They should be no wider than an INCH apart, otherwise the floss will snap between your teeth and injure your gums. The best control is when your fingers are close together! 3. Pull the floss taut between your hands. Now, gently guide the floss between your teeth where they touch each other. Try not to the snap the floss into your gums! Here’s the KEY POINT in flossing correctly! There are two tooth-surfaces that you must clean below each tooth-contact, one on EACH tooth. When the floss reaches the gum line, curve it into a C-shape by lightly leaning against one tooth. We call this“wrapping” the floss. Gently slide the floss downward (upward on upper teeth) into the space between the gum and the tooth. 4. Holding the floss gently against the tooth, gently slide the floss with an UP AND DOWN motion. Mistakenly, many patients use a sawing motion when they floss, which is ineffective in removing plaque from the root surfaces! This is the CRITICAL STEP! Please check out the diagram below. 5. After two or three up-and-down flosses of one tooth-surface, then slide your floss against the adjacent tooth. Now clean its surface the same way, UP AND DOWN. You’ve now cleaned the sides (root surfaces) of the two teeth that are adjacent to each other that share the same contact. 6. Now, begin to progress methodically through your entire mouth by wrapping and vertically cleaning each surface. You can reposition your fingers to a section of clean floss. If the floss is too tight to remove it through the contact, then simply pull the floss out to the side. Don’t forget to floss the backsides of your four end teeth. 7. It’s time to brush, now that all of your in-between surfaces are clean. Brushing will remove all the remaining particles of food and colonies of plaque, and allow the fluoride in the toothpaste to thoroughly protect your teeth. 8. The most important movement of proper flossing is to hold the floss against each tooth surface in a C-shape, and then guide the floss up-and-down in order to clean the surface.